On Tuesday, February 18, 2014, Southern Nazarene University’s FCA hosted an event in the Sawyer Center. If you have ever attended Fields of Faith, Courts of Praise is not much different. Well, except for the setting, of course. At every FCA event, the students or coaches in charge of hosting the event try their very best to keep it interesting. This means inviting various well-known and outstanding Christian athletes, coaches and many other inspiring people from all over to come to our school and share their testimonies. These guests share their lives, struggles, hardships and their on-going relationship with the Lord Jesus Christ. 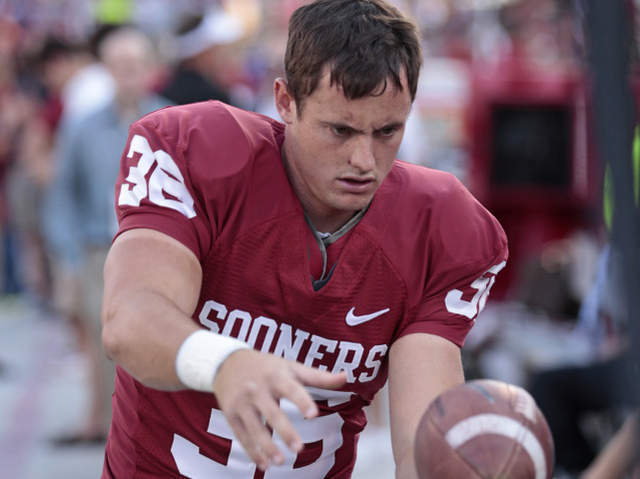 This past FCA event, we were blessed with the presence of OU’s former punter Tress Way. Way played for the award winning head coach, Bob Stoops. He started his college football career in the fall of ‘09 and finished out his college football career in ‘12. Way was so looked up to by the Sooner football team that he was team captain in his ‘11 and ‘12 seasons. Tress Way spoke about how hard it is to just go through the motions of loving and living for Jesus. He discussed how, as athletes, sometimes we are fake in our faith; we do not really rely on God for our success, nor give him the glory when we do succeed. We walk the walk, but do not talk the talk. As Christians, we often wrestle through this same fight with God. We want things that God does not want for us. Even when we know what we need to do and how we are supposed to live, it is always a lot easier said than done. This is especially true when you are a student athlete; temptations are everywhere, and you are watched by everyone. Tress left us with a challenge that night, a challenge for us as Christians and athletes, to put everything else aside and put God first. He asked us to just try it and then see if everything we adore even amounts to half of what God has in store for us. If you have never attended an FCA event, it is highly encouraged. These activities are not just for athletes, anyone is welcome! FCA meets are on Monday nights in Sawyer, so come on out next time and see what it is all about. You will not be disappointed!